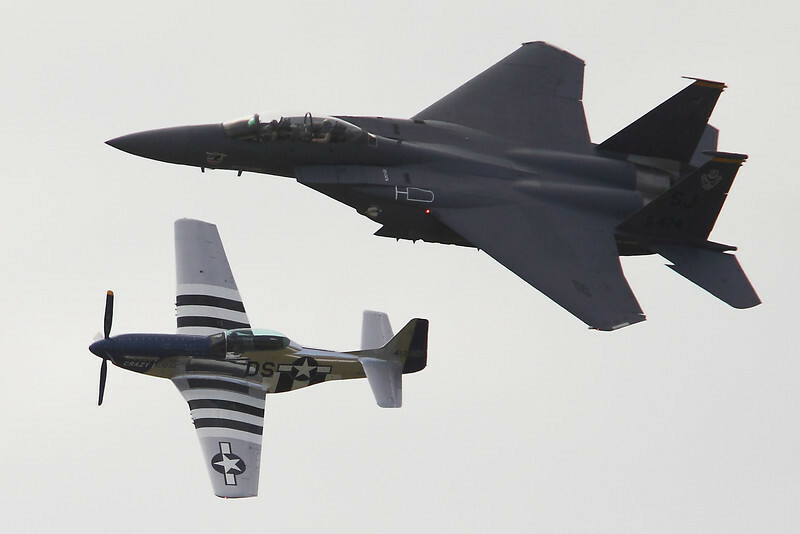 The annual AIRFEST 2011 held at MacDill Air Force Base in Tampa, Florida amazed crowds by the thousands over the weekend with aerial demonstrations and military displays. MacDill is not just any AFB. It is host to the 6th Air Mobility Wing and is well known around the world as headquarters to United States Central Command (USCENTCOM) and Special Operations Command (USSOCOM). Tampa, Florida is either the safest or the most dangerous city in the world to call home. 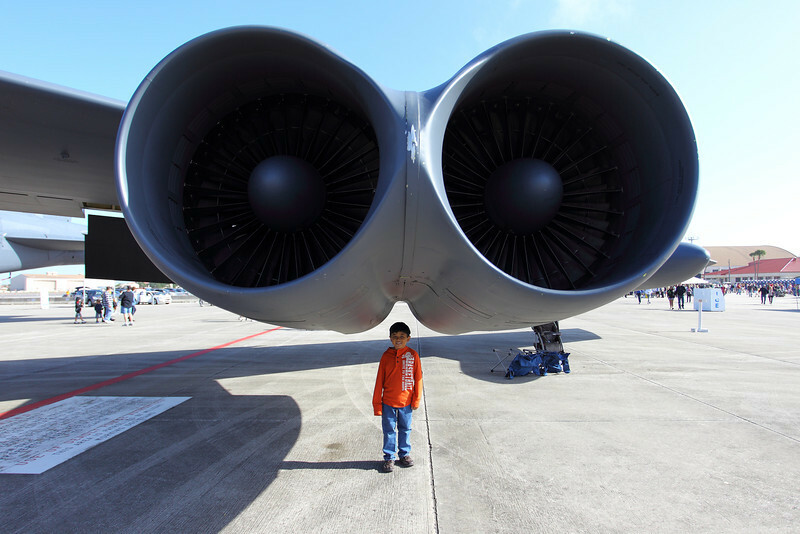 My son is dwarfed by this enormous jet engine of the Boeing B-52 strategic bomber of world conflict's past. 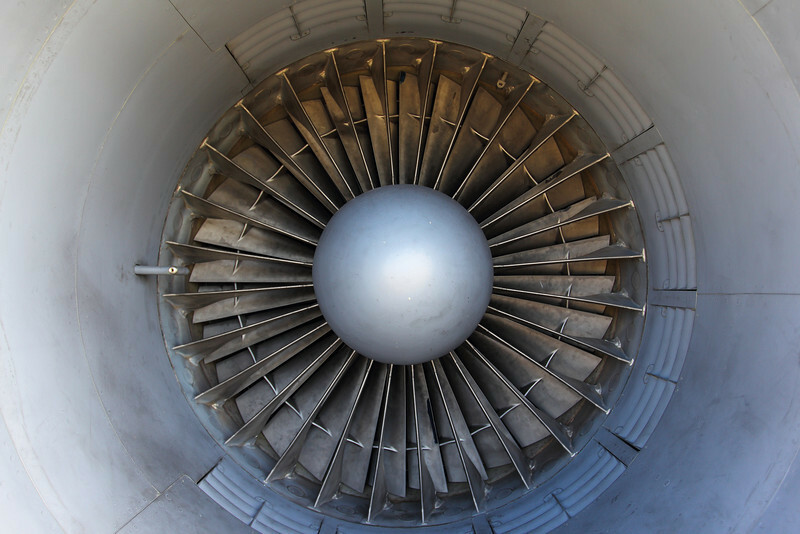 Almost every airplane in military aviation can be seen and touched at AIRFEST 2011. My mini clone woke up early to see up close and personal the actual weapons of war used in his soon to be Call of Duty: Modern Warfare 3 video game. This of course was immediately followed by begging and pleading for the miniature toy USAF Thunderbird F-18. At this point, I realized the educational lesson has ended for this excursion. 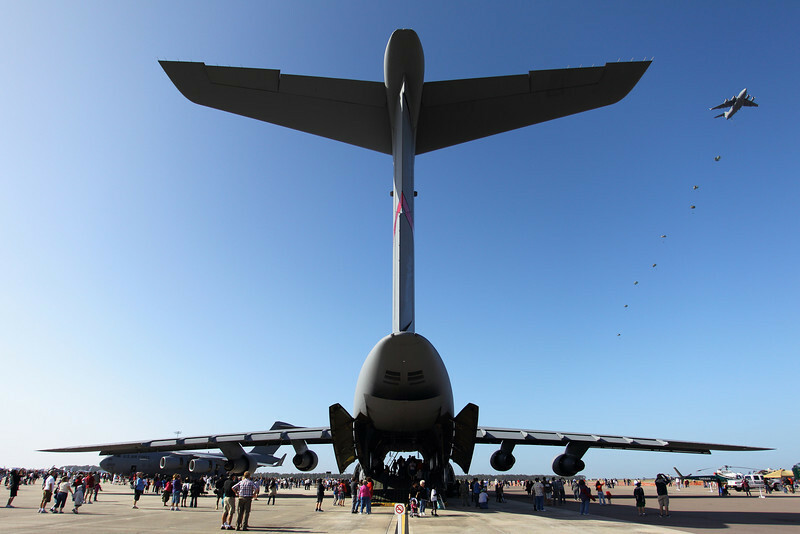 The seemingly endless tarmac of MacDill Air Force Base can handle even the biggest of cargo transport planes. This picture is not an optical illusion created by an extremely wide angle lens. My Canon EF 17-40mm f/4L lens paired to my Canon EOS 1D Mark IV could barely fit these massive military tools in my viewfinder. Not only does AIRFEST 2011 exhibit aerial performances of the USAF Thunderbirds, it illustrates the dominating authority of military aviation of the United States. 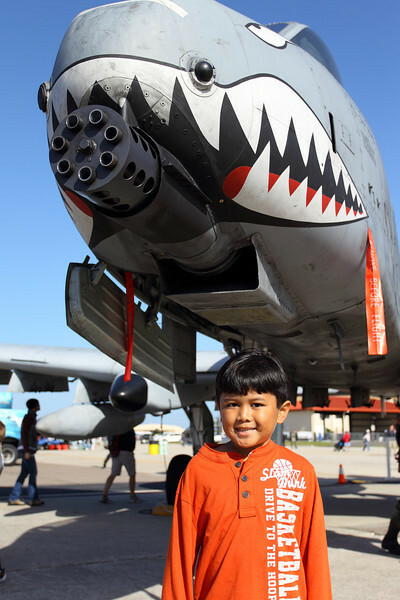 The Fairchild Republic A-10 Thunderbolt II shows off its heavy rotary cannon called the GAU-8 Avenger. This cannon provided close air support to eliminate tanks and armored vehicles. My son's desire for sugary soda eliminated my wallet at $3.50 a bottle. Other branches of the armed forces with special displays were on hand to meet and greet with the public. It gives civilians an opportunity to witness and appreciate the efforts of men and women on active duty in the U.S. military. Where else can you get your hands on authentic light and heavy ordnance? 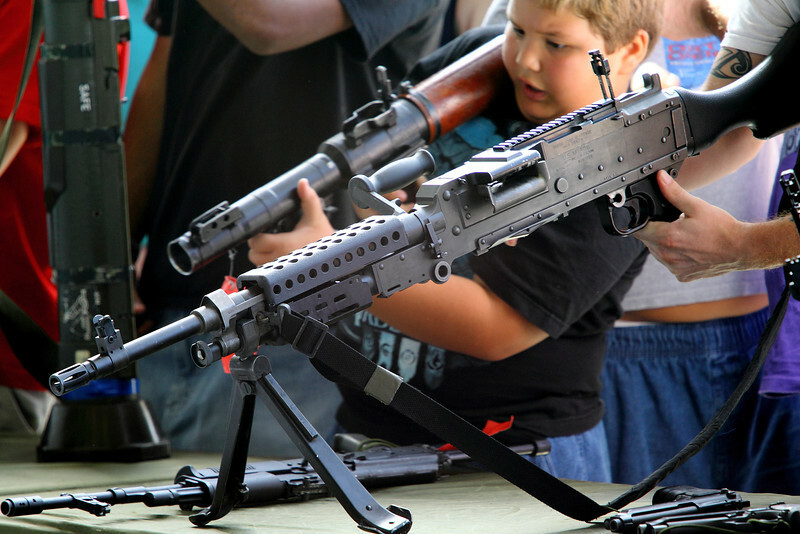 My daughter will take that RPG launcher in pink, please. I have to say it. Freedom is not free. It may sound cliche to the younger citizens of the United States. 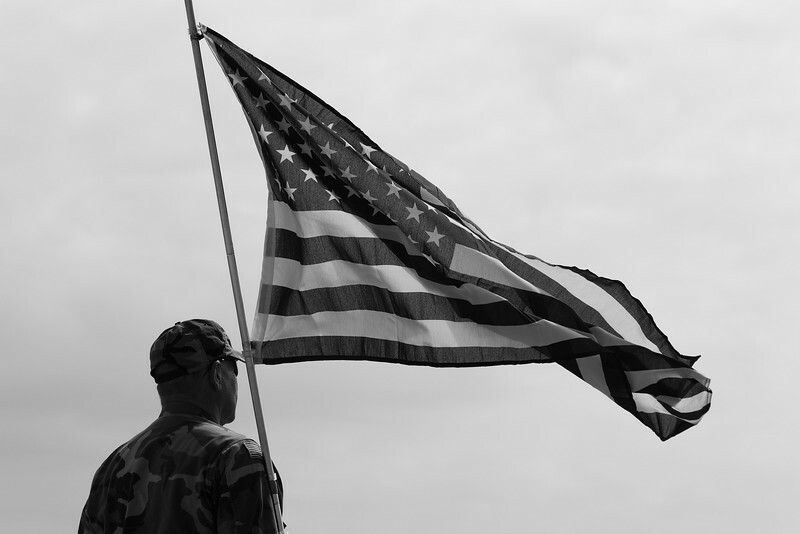 Through the live or die efforts of veterans of previous conflicts and active and reserve military soldiers, we can be safe and comfortable in our homes with family. My family gives a big salute to the men and women of the U.S. military. I give a personal salute to the Vietnam War veteran, Peter Chianchiano, holding this red,white and blue proudly. 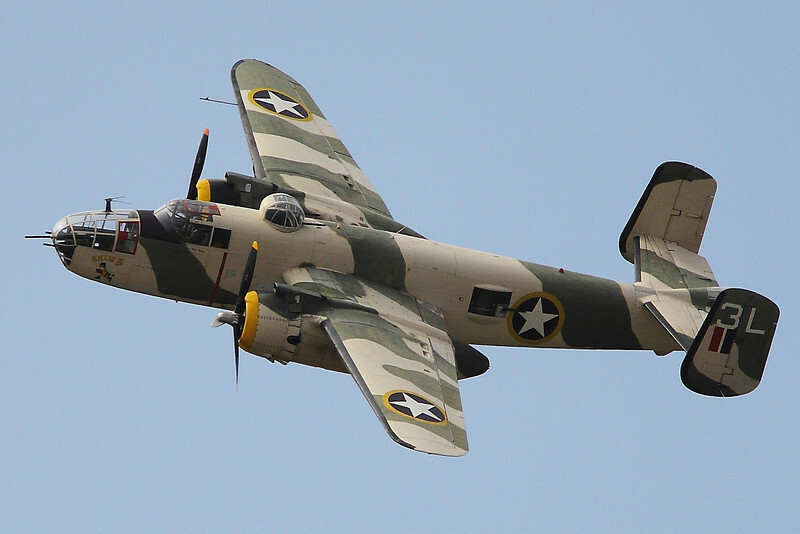 You can view more World War II era aircraft and even the current Rockwell/Boeing B-1 strategic bomber in my AIRFEST 2011 Experience Gallery. I used the Canon EOS 1D Mark IV paired with the Canon EF 70-200mm f/4L IS w/ EF 1.4x extender and EF 17-40mm f/4L lenses. District 7 is headquartered in Miami and deals with the operations in South Carolina, Florida and Georgia. You can look for other information in their website, active military bases in Florida. You have your passcode, go to the ADP website login page from either ADP iPay Login also try once again. Throughout your next login attempt. We are South Pasco Predators!